Band to Join, Vocalist, Lead Guitar, Bass Guitar, Drums, Keyboard, Other, DJ, Electronic Music. DONT BE FOOLED BY MY NAME! 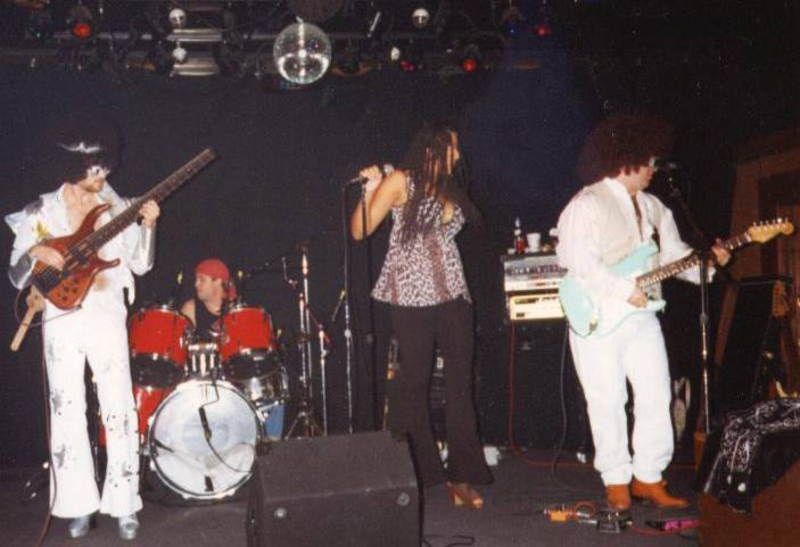 I am a FEMALE lead vocalist performing tunes Aretha to Zeppelin..from 1970s to present...Mezzo-soprano (8 octive range). YOU CAN FIND ME -TOMMIE COTTON on itunes, Beaport, Traxsource, Juno, and many other digital download sites. LISTEN FOR FREE on , Hearthis, Revebnation, Mixcloud and all social media sites under TOMMIE COTTON. My favorite genres to compose tracks/write & arrange lyrics/vocals for are House/Triphop/Dance/Electonica, and RocknRoll. My favorite sounds for live-performance are Tech House/Soulful House/UKG/Future Garage/Dance Music, Oleskool Funk, Classic Motown,and Classic Rock. But still, I enjoy ALL types of music--and I mean ALL! Rock, blues, pop, trip-hop, house, neo-soul, funk, countryPOP, and classic rock..
Ive stopped answering the want-ads to work just as a 'hired gun', and am currently seeking a creation that would find me excited about performing cover tunes--plus writing original material--and actually looking forward to the rehearsal process and enjoying the company of the musicians, over just trying to sing whatever-wherever to make a buck. My VOCAL musical influences include all the greats of the "oleskool vinyl era" such as Aretha Franklin, Loletta Holloway, Tina Turner, Chaka Khan, Gladys Knight, Jennifer Holiday, Donna Summer, and Martha Wash--but I still give credit to Barbara Streisand, Bette Midler, Cheryl Lynn and Joyce 'Baby Jean' Kennedy as the beginning inspirations for me wanting to be a performer. Yamaha Keyboards, Korg Electribes "M" and "S", Tascam 788 multitrack....for all my home recording and mixing needs...Im still oleskool when it comes to creating a song...Its much more fun that way...I prefer real recording gear over PC programs that just 'point-drag-click'...wheres the joy?